The dandyhorse newsletter is here! In this issue, we recap everything we've reported on for the last part of the summer and the beginning of fall. We've got the latest on the Bloor bike lane debate too. Check out the full issue here. 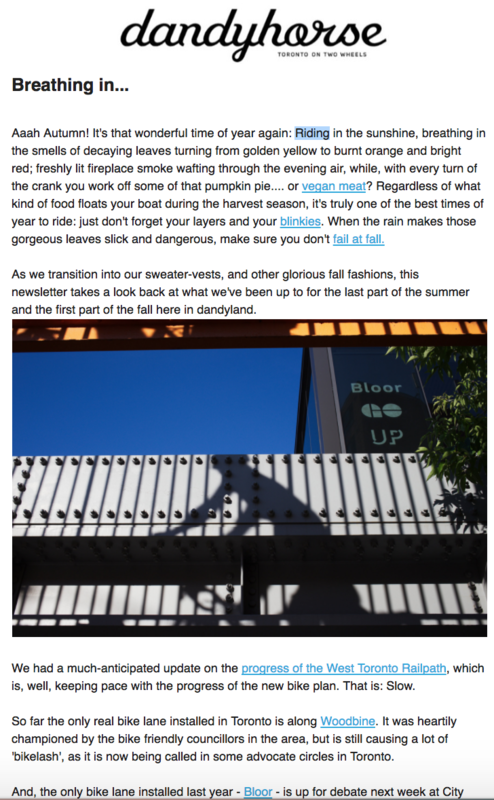 Sign up here to receive dandy newsletters directly to your inbox. Photo above by Vic Gedris.